Five years ago, I was invited to join Borshoff’s ownership group. While I had managed teams and been a “boss” before this point, becoming an owner caused a major shift in my responsibility. Each year I was less involved in “doing the work” and more involved in leading the teams that do the work. 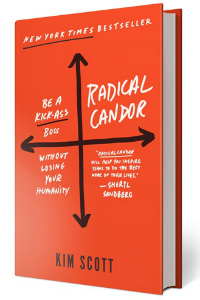 As I struggled to focus more on people, one of the best books I could have read was Radical Candor by Kim Scott. Scott taught me what good feedback looks like and how to deliver it effectively. But the real gift is that she taught me what being a boss is really all about. Is this what bosses really do? Ultimately, bosses are responsible for results. But they don’t do all the work themselves. Bosses guide a team to achieve results. Guidance. 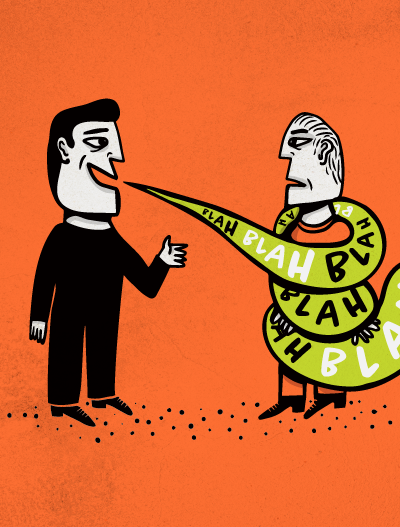 Giving feedback is hard, but it’s critical for a manager. It must be clear, actionable and timely if it’s going to make a difference. Team-building. Putting the right people in the right roles is only half the job of building a great team. The other half is keeping them motivated and inspired. Results. It’s important to help teams take personal ownership of achieving your vision and goals as if they are their own. All three of these require a foundation of relationships, not power. And that’s where most bosses struggle. Scott’s Radical Candor framework suggests there are two dimensions to giving good guidance: caring personally and challenging directly. The more you care personally, the more trust you build. The more trust you’ve built, the better able you are to challenge directly and give radically candid feedback that makes a difference. From that day forward, I’ve thought more about the expression on my face, my body language and other things that might help me appear approachable. If a big part of my job is to care personally, I have to make time to linger at the water cooler to ask my colleague how his weekend trip turned out. To ask about that child that was sick last week. To find out how her spouse’s job search is going. When I do that, I earn the right to ask harder questions. 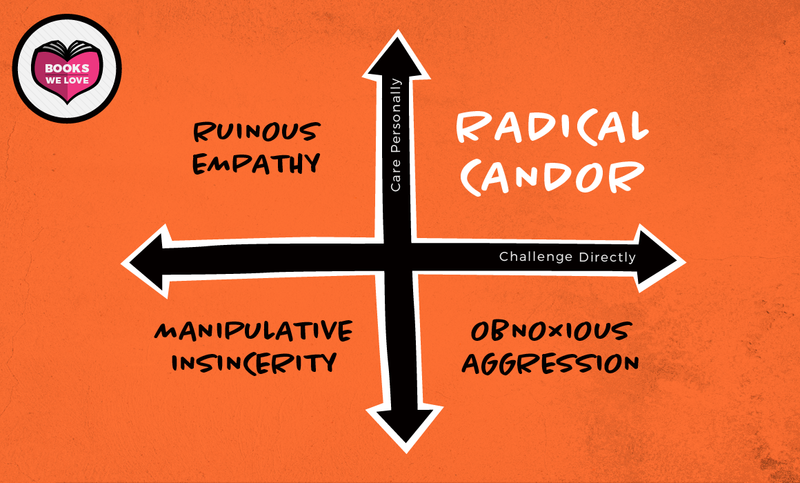 And to practice radical candor. I still get it wrong. 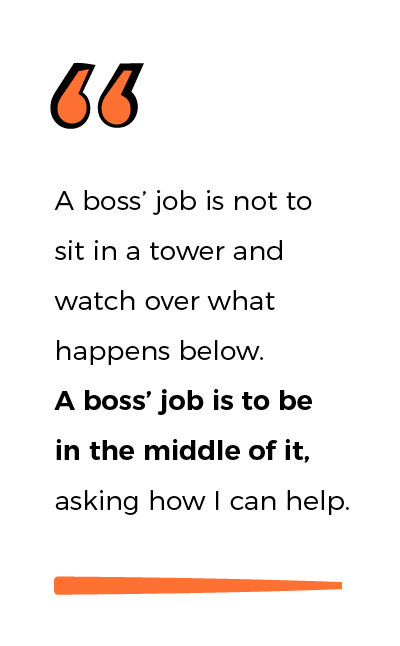 But I’m pushing myself to see that a boss’s job is not to sit in a tower and watch over what happens below. A boss’s job is to be in the middle of it, asking how I can help. And that, perhaps, is the best lesson of all. Want to talk candidly? Email me or call 317-631-6400.